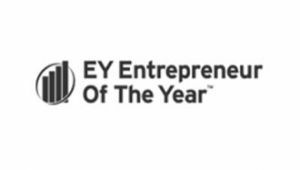 The National EY Entrepreneur of the Year programme celebrates those men and women who are building and leading successful, growing and dynamic businesses. In October 2014, John Niland, Chief Executive of Provide won the Social Enterprise Entrepreneur category. These awards have been running in the UK for 16 years and are recognised as being prestigious business awards for entrepreneurs. The juThe National EY Entrepreneur of the Year programme celebrates those men and women who are building and leading successful, growing and dynamic businesses. In October 2014, John Niland, Chief Executive of Provide won the Social Enterprise Entrepreneur category. These awards have been running in the UK for 16 years and are recognised as being prestigious business awards for entrepreneurs. The judges praised John’s leadership style. They were particularly impressed with his method of measuring success which is based on feedback from service users, including their letters of praise. These have risen 50% year-on-year. They also praised his pioneering style and willingness to expand into new markets. The award ceremony took place on Monday 6 October 2014 . For more about EY, the awards and categories visit: ey.com/UK/en/Home.dges praised John’s leadership style. They were particularly impressed with his method of measuring success which is based on feedback from service users, including their letters of praise. These have risen 50% year-on-year. They also praised his pioneering style and willingness to expand into new markets. The award ceremony took place on Monday 6 October 2014 . For more about EY, the awards and categories visit: ey.com/UK/en/Home.